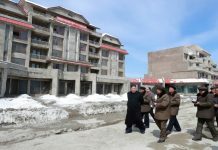 Pyongyang’s nouveau riche are in a state of tension after the North Korean authorities interrogated and then confiscated the assets of a woman in her 50s who made a fortune selling Taedonggang Beer in Pyongyang for almost 10 years. According to sources inside the country, the woman (a Ms. Kim) was arrested at a checkpoint in late February and detained. It was found during an investigation that she had accumulated funds illegally, and these funds were confiscated by the government. She was then expelled from Pyongyang. The entire process of arrest to being expelled from Pyongyang occurred in a very short space of time. Fellow members of North Korea’s burgeoning middle class, known as the donju (literally, “money masters”), are now worried about whether something similar may happen to them. 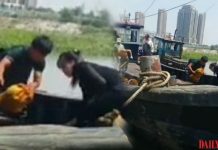 The woman’s arrest could signal that the authorities have their eyes on the donju’s assets to help fill the regime’s coffers. From the late 2000s to early this year, Ms. Kim had supplied the beer to restaurants outside Pyongyang after receiving them from the factory. As a result, she was well known in Pyongyang and South Pyongan Province. Although Taedonggang Beer is North Korea’s most famous brand and well known in South Korea, the company’s history is relatively short. North Korea purchased equipment from a British liquor company and began producing bottled and draft beer in Pyongyang from 2002. Kim Jong Il ordered that the taste and temperature of the beer be carefully managed, which resulted in the beer joining the ranks of the existing Ryongsong and Pyongyang beers quickly. Taedonggang Beer is less expensive than Ryongsong Beer and so is popular among locals. Draft beer is only available in restaurants with the proper equipment. North Korean beer companies had to sell their products in the markets from the 2000s to continue operating and provide their employees with wages. The donju then began to invest in the liquor business. Kim was one of them, and she even paid a deposit to a North Korean government agency to obtain the beer. She was skilled at distributing the beer and soon earned a great deal of money, according to a separate source in South Pyongan Province. She obtained a permit to travel from her local people’s committee and distributed the beer by truck to restaurants in Pyongsong and even as far as Sunchon. When she lacked a permit, “she used her reputation and bribes to pass through checkpoints,” the source said. In late January, however, she was denied entry through a checkpoint heading out of Pyongyang. She was detained by officers at a local police detention facility. “She was accused of stealing state-made products and selling them illegally for a profit, and conducting anti-socialist acts,” a separate source in Pyongyang explained. Her wholesale business, however, was in fact legal because she paid a wholesale price for the beer and took a profit from the beer she sold. Even defectors from Pyongyang say that her arrest “doesn’t make sense.” Multiple defectors originally from North Korea’s capital told Daily NK that calling her business illegal would be the same as saying that it is illegal for donju to build and sell apartments for a profit. 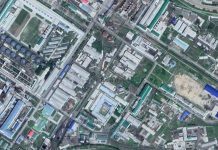 Kim’s entire assets were confiscated and she was expelled to South Pyongan Province in early March, right before the Supreme People’s Assembly (SPA) elections. She was unable to take many of her personal belongings. It remains unclear whether her downfall was engineered by someone who had a grudge against her. Kim’s case also led the financial director and acquisition manager for the Taedonggang Beer factory to be called in for questioning. The Kim Jong Un regime has continued to rule by instilling fear in the hearts of its people yet has maintained a steady policy of protecting capital and the markets. Donju are rarely victimized by the state unless they embezzle state funds, which means that Kim’s arrest and expulsion will have a significant impact on their activities in the future. It is unclear whether Kim’s case represents the beginning of a wider campaign by the authorities to collect funds for the government or there are other reasons at play, including an attempt to put the donju “in their place”, or simply a personal vendetta against Kim herself. “In any case, those involved in selling liquor wholesale or using vehicles to conduct business need to be cautious,” an additional source in South Pyongan Province said.